A.N.Wilson writes: I grew up in North Staffordshire, where my forebears had been potters since the end of the eighteenth century. 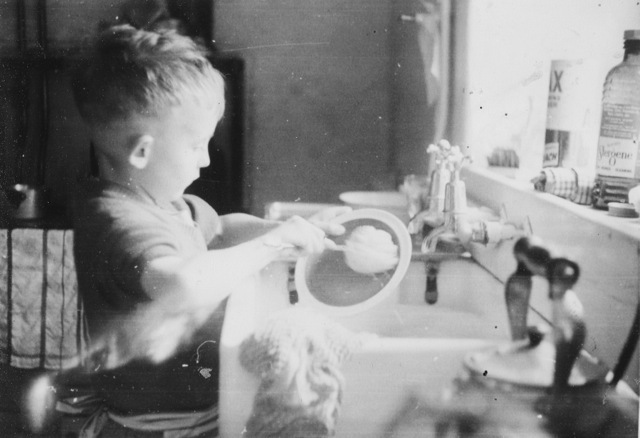 My brother Stephen and I sometimes look at our hands and think – we are the first men in our branch of the family not to have used these hands for making ceramics ! 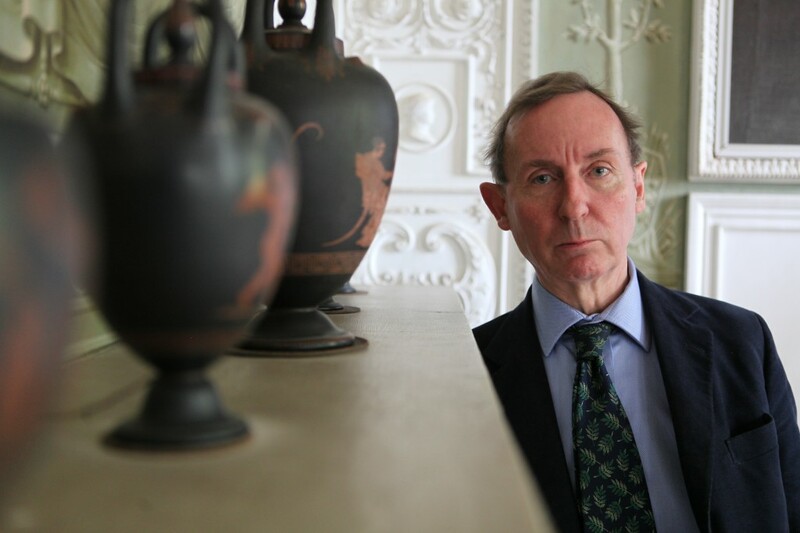 My grandfather Tom Wilson made the most beautiful oriental-seeming pots with Bernard Moore. His son, my father Norman, joined the Wedgwood company in 1927 – first as Works Manager at the old Etruria Works . It was he and Josiah Wedgwood V, together with their friend the designer-architect Keith Murray, who organized the move from Etruria to Barlaston at the end of the 1930s. 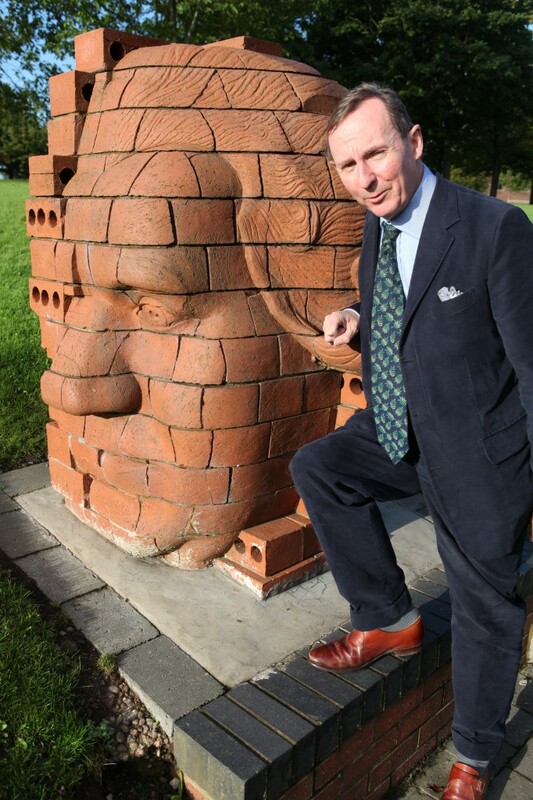 They were very much inspired by the first Josiah, who had intended Etruria to be a sort of rural worker’s paradise – little foreseeing that “The Potteries”, like the other industrial towns of the midlands and the north, would become polluted by the very success of their industry. 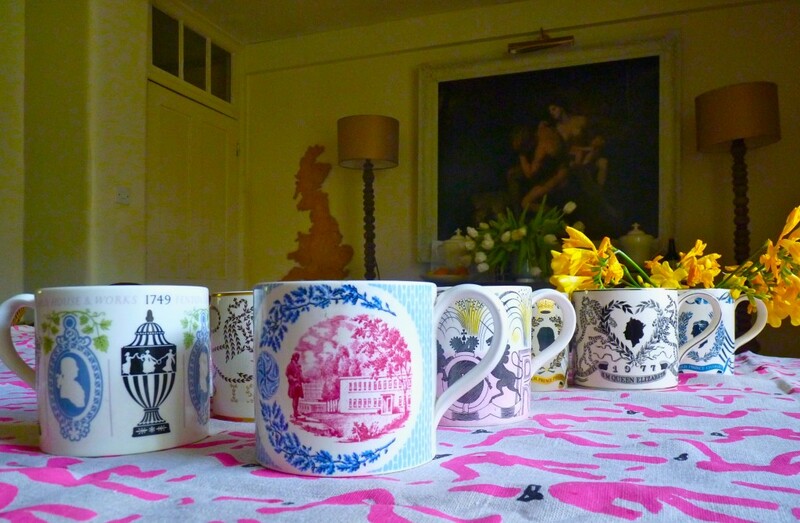 Most of these mugs including the 1953 Coronation mug made from the design by Eric Ravilious, were commissions made for Norman Wilson at Barlaston. The one in the middle dated 1959 commemorates the second centenary of the firm and shows the new factory at Barlaston designed by Norman Wilson and Keith Murray. The Wedgwood factory, Wedgwood family lore and the cult of Josiah Wedgwood were my father’s obsession. 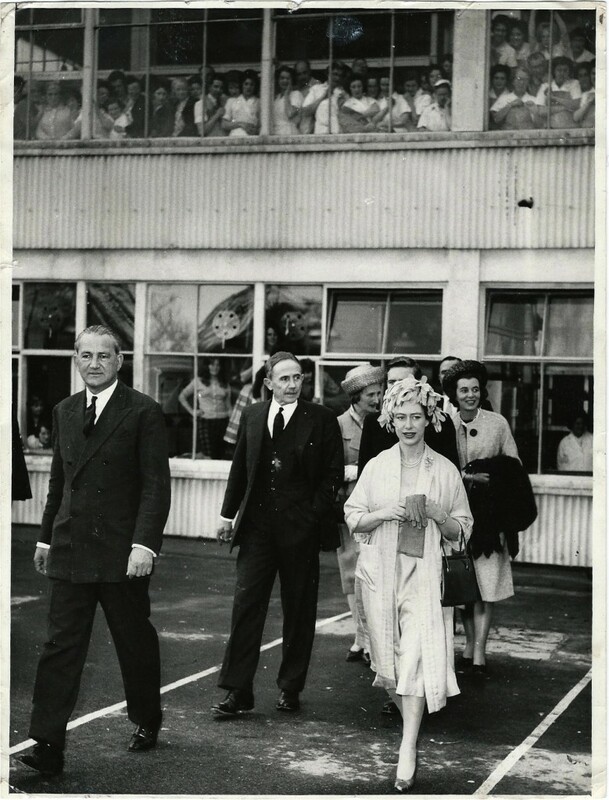 Here he is in 1961 escorting Princess Margaret around the works. Above them, a largely female labour force admires that hat. I grew up knowing more about the Wedgwoods than many children know of Little Grey Rabbit or Squirrel Nutkin. 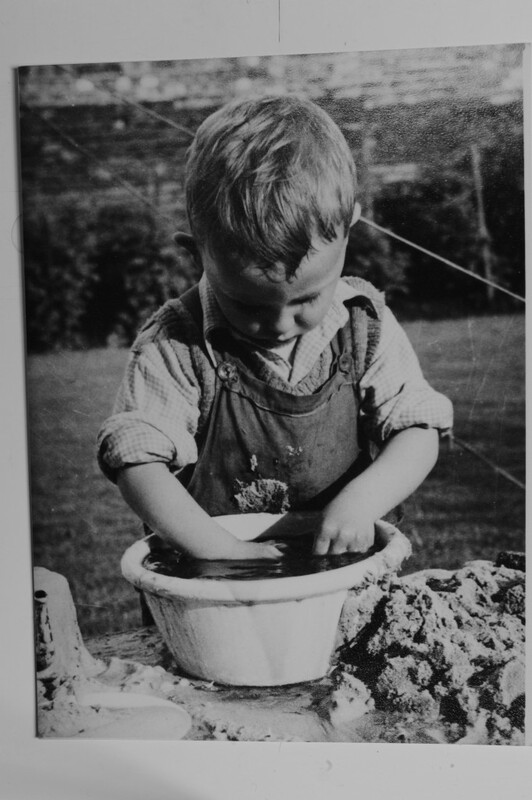 This photograph was captioned ‘Andrew making mud pies, 1956,’ by my mother. A woman who worked as a secretary at the factory in my father’s time as Managing Director told me recently – “Your father would look at a design, or a pot, and say – ‘If it comes up to the standard of the first Josiah, then it will do. If not – not’”. 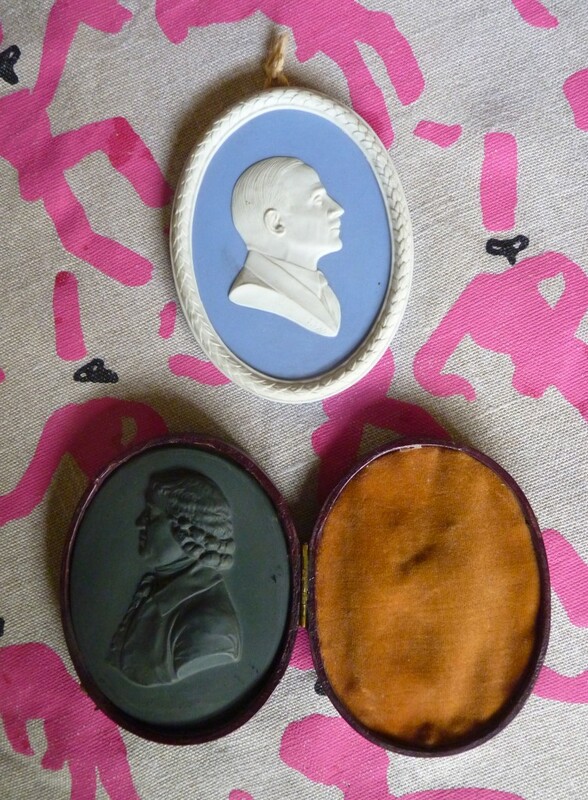 So although Josiah Wedgwood died at the end of the eighteenth century he was still part of my life in the mid-twentieth. Above, Wedgwood commemorative portraits of Josiah Wedgwood and Norman Wilson. 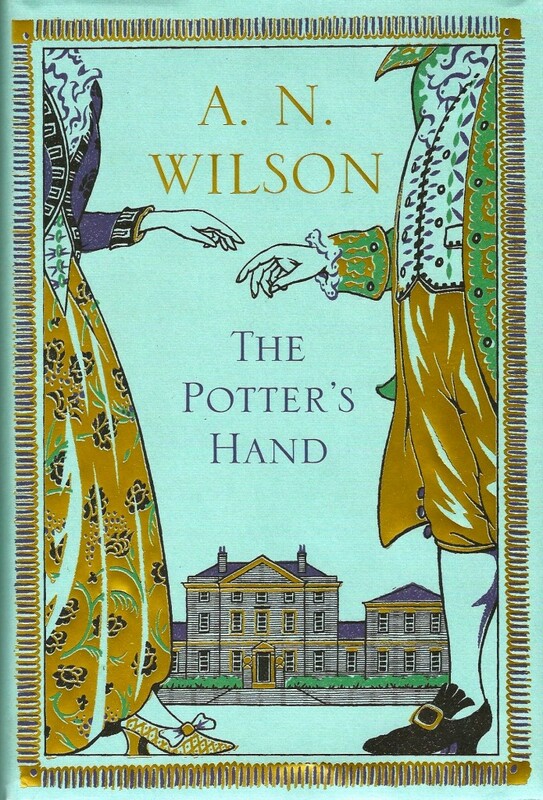 My novel THE POTTER’S HAND, which came out last year, explored the evolution of Wedgwood’s genius, and of his family : it tells the true story of how he came to buy white china clay from the Cherokee people, and how he made dinner sets for the Empress of Russia. 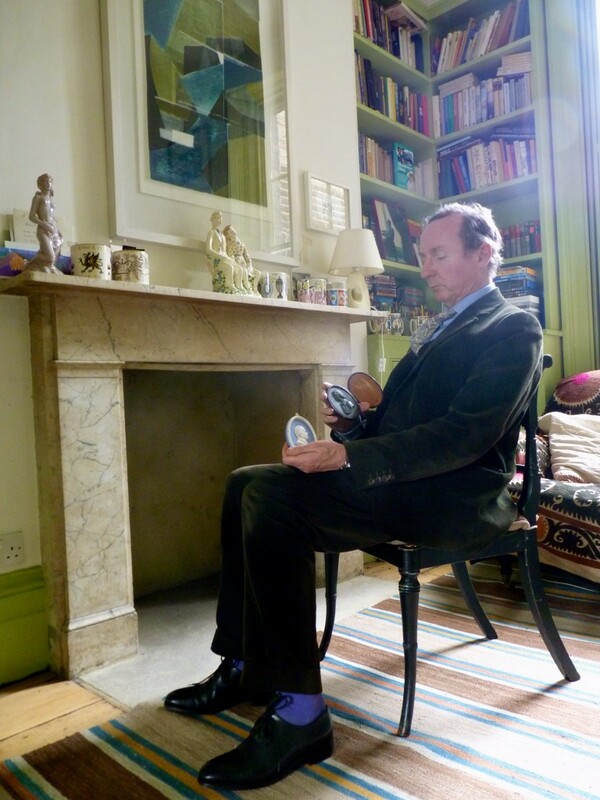 On Friday April 19th at 9pm BBC2 broadcasts my tribute to Josiah Wedgwood. 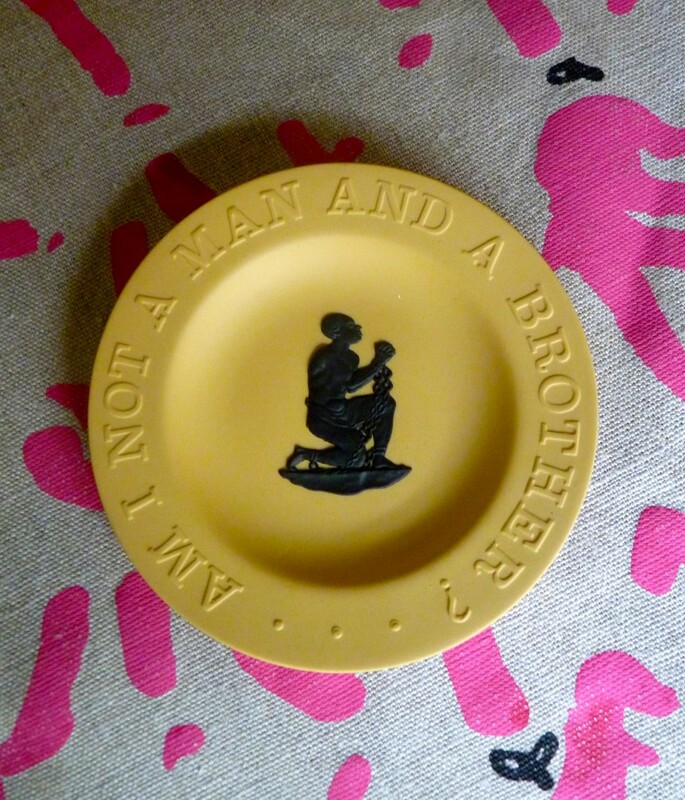 The famous medallion “Am I Not a Man and a Brother?” was distributed free of charge as part of his contribution to the campaign to abolish slavery.